Are you exasperated while standing in the queue for getting bus tickets? If yes, then directly come to us for getting the best solutions. At Sai Tourism, we are engaged in offering excellent bus booking services to the clients across Shirdi (Maharashtra, India). Be it for regular traveling or for a long journey, our agents can book tickets for different types of buses. 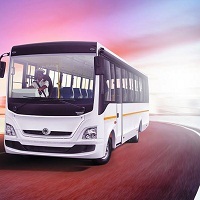 We have associations with some of the leading bus dealers/providers in Maharashtra. Therefore, we can help you in getting tickets for a well-equipped bus.